This kit is for the Takahashi FC-76DS OTA, plus 6 x 30 finderscope, finder bracket and tube holder. 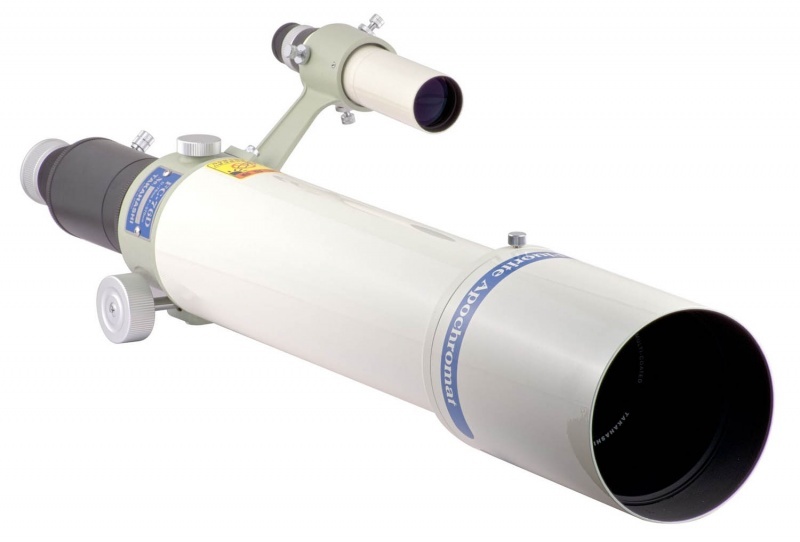 This model also has the retractable dew shield and slightly larger tube diameter over the FC-76DCU. The two telescopes in the FC-76D series consists of an apochromatic fluorite doublet with a 76 mm objective diameter. Both telescopes are 570 mm f/7.5 instruments. The front element uses an eco-glass for maximum light transmission, with a coated fluorite rear element for superb color correction. The optional reducer changes the focal length to 417mm giving a focal ratio of f/5.5 and an image circle of 36mm. The dedicated flattener operates at f/7.8 and 594mm produces a 40mm flat circle.